If You Can't See It, You Can't Hit It! I have talked about the fact that seeing a target is a direct link to hitting it. Therefore, my attention has turned to the field binoculars that are carried by many hunters/military people in the field today. In case you’re a first-time buyer, please be advised that seeing is not always believing. and what you pay for in terms of quality working glass, or what the advertisement may say, is not always what you’re going to get. 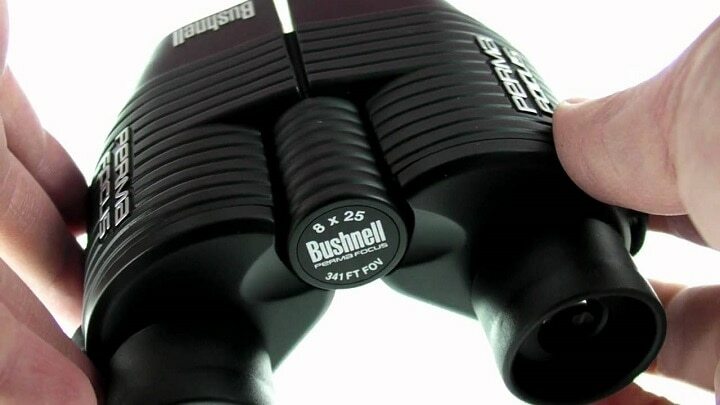 Bushnell offers some very solid binoculars and affordable prices. These are field quality for general hunting purposes. 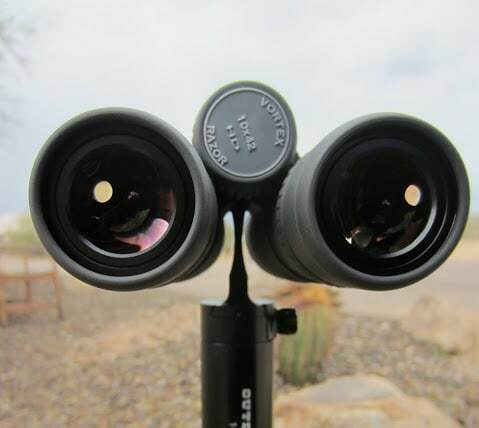 What You Need to Know Before Buying Binoculars? For the most part, many of the optical glass for sale today comes from the same group of manufacturers. In some cases, optics that carry any one of several brand names come down the same assembly line in some foreign country. The point is this: Buyer beware! How do I know if the product is a good one? I say history, name brand, and basic price are darn good starting options in the search for a quality, hardworking set of binos. Nikon is a brand that I have used for about 40 years in the field, products such as cameras, binoculars, and rifle glass. 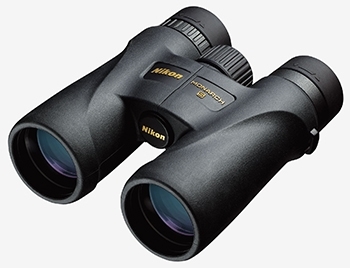 All Nikon binoculars are made using premium ED low light dispersion glass for a sharper and clearer subject field. The system uses turn-and-slide rubber eye cups, and a smooth operating central focus knob with flip-down lens caps. 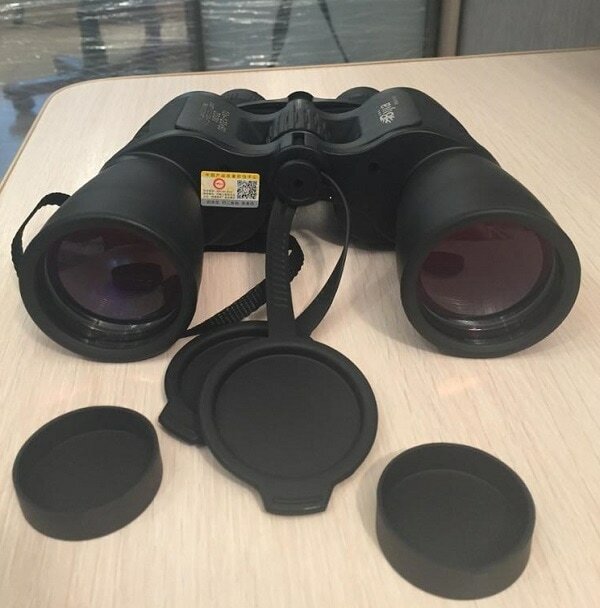 Fully multicoated lenses are offered here, and the binoculars are a full ounce lighter in weight than the previous model of the same optics system. 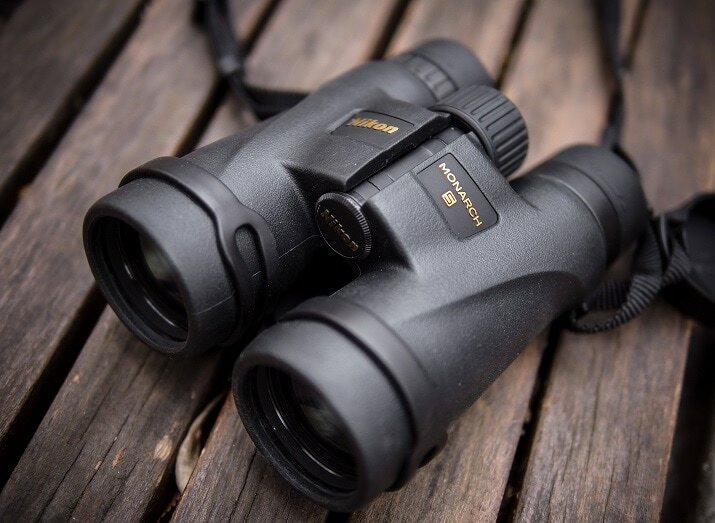 Nikon 10X25 CF Travelite EX Waterproof binos are just right for packing tight or light when hitting the hills or mountains. 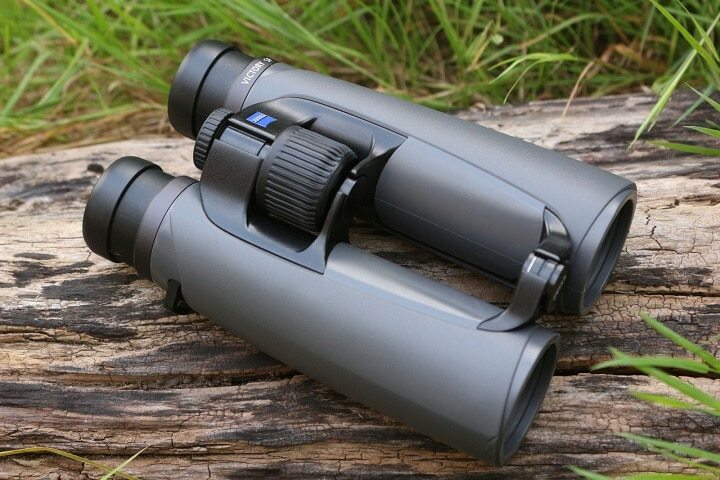 When massive long-range spotting is not required, or chasing big game in rough rock studded country, this pair of the binos can meet the needs of the casual sportsmen quite well. 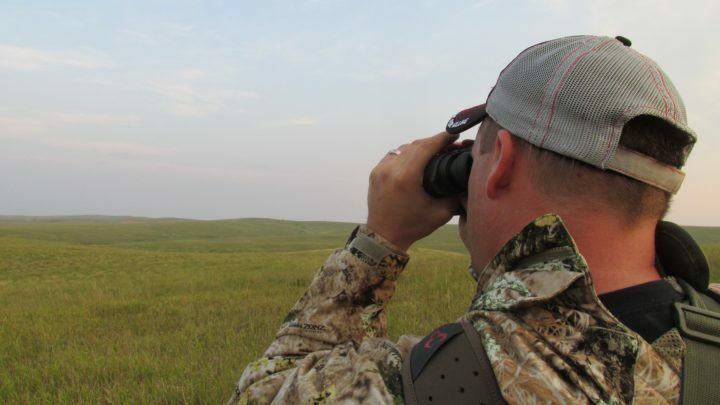 When packing across prairie grasslands in search of varied varmints, many times I don't need a big high-power set of binos, but rather a light pair that can work tough and possible target out to about 300 yards. Here is the answer to that problem when selecting a lightweight, small and easy-carry set of glasses. 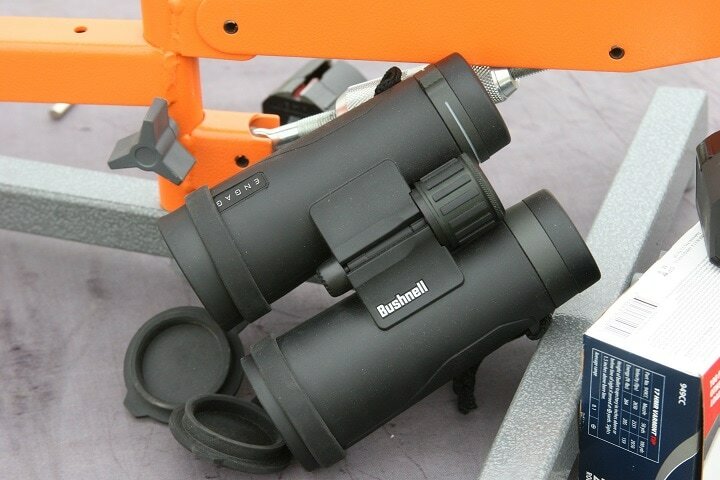 And these binos can be used when wearing glasses. This is not always the case with many brands of this style. 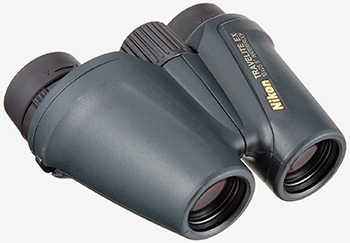 Be advised that Nikon makes several other models in this same basic binocular style. 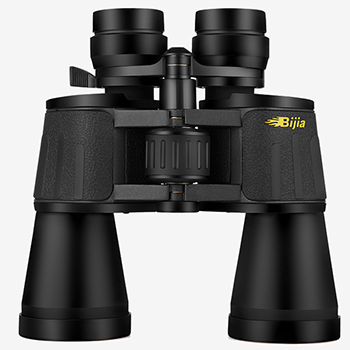 Moving into the general purpose binos, the Bijia binoculars offered by the company that makes this page possible (Yes, we ourselves) are selling the unit for $99.00, which is a budget price. These glasses carry amber-coated glass that fights off distortion producing a high light transmission rate. 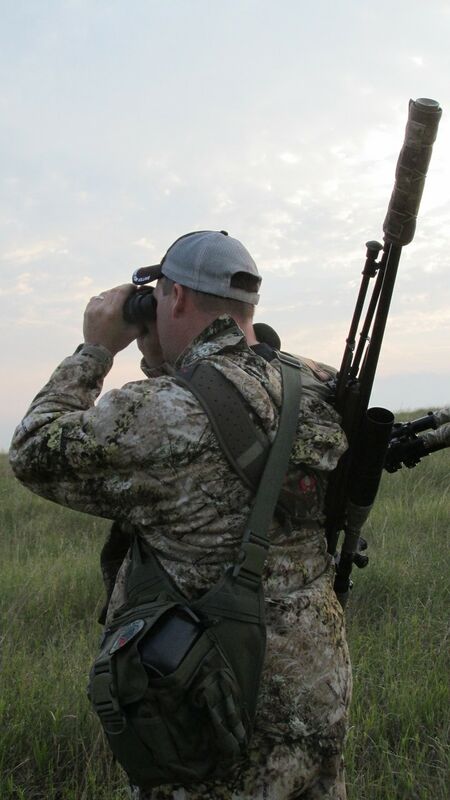 When a pair of binoculars is involved, a success rate that means a professional hunter takes a client into the field and brings down a several thousand-dollar trophy animal, the game changes quickly from a general-purpose tool to a major high-end investment. 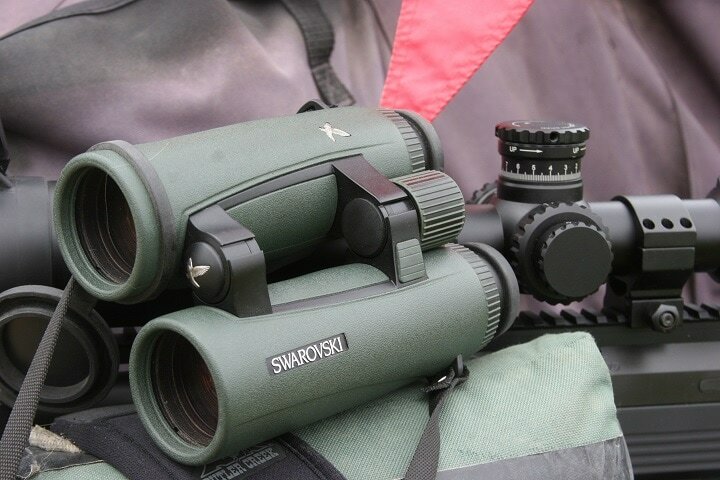 Here the Swarovski SLC 10X42 steps up to the task as a 10X Magnification optic with a 61-degree apparent field of view. The product has a 10-year warranty and is built of the best materials and glass possible. 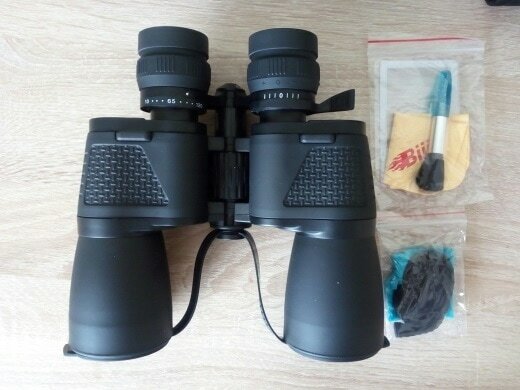 These are real multipurpose binoculars that I have personally taken afield both on commercial hunts and during extended time on task events here at Ballistics Research & Development. The Swarovski brand and I have many years of field application time together. This glass will pick a horn tip out of a pile of rough, small or large rock on a mountain side, spot the head of a trophy mile deer tucked deep into a juniper stand, or catch sight of a big 5X5 white tail buck bedded down with does a mile away. Viewing with these glasses is diamond-clear with no distortion whatsoever. 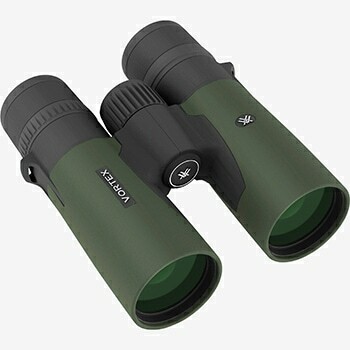 Vortex offers these binoculars at a price point a bit under some of the other heavy hitters in the professional grade department. Vortex has been a company on the move, and in general has been very successful in filling the need toward higher-end equipment but with a better bang-for- the-buck pricing. This unit carries a 10 X 42 objective lens. Hand-selected prisms and premium density glass what will produce ultra-high quality viewing feedback. The glasses are strong yet lightweight. This is a true professional grade optic that is a lifetime investment. 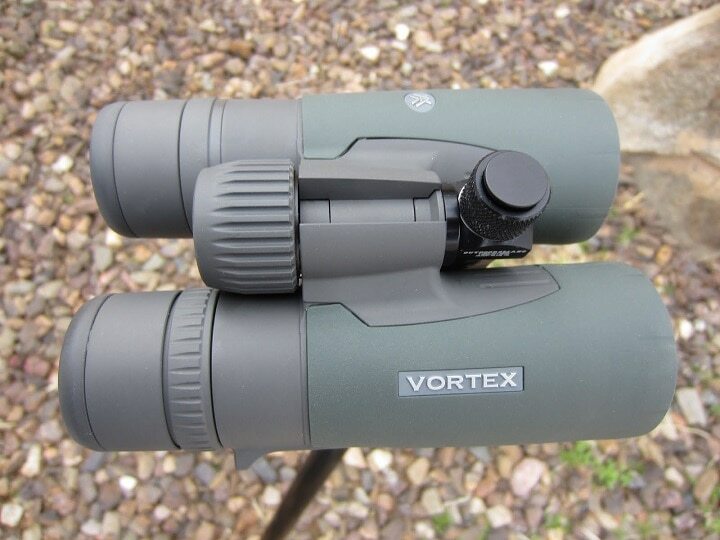 Like others illustrated here, I have used Vortex optics a great deal and own several products, including my long-range spotting scope. My feeling about Vortex is: Watch out, everyone, because these guys are moving fast and hard toward owning a big share of the market. ​How can they do this? Offer an excellent product at a fair price. The German army special unit snipers, Australian SAS snipers, and special operations units in the Middle East use Carl Zeiss because it is some of the best built optical equipment you can get your hands on today. Carl Zeiss 10X45's are going to be darn hard to beat regardless of the brand being considered. 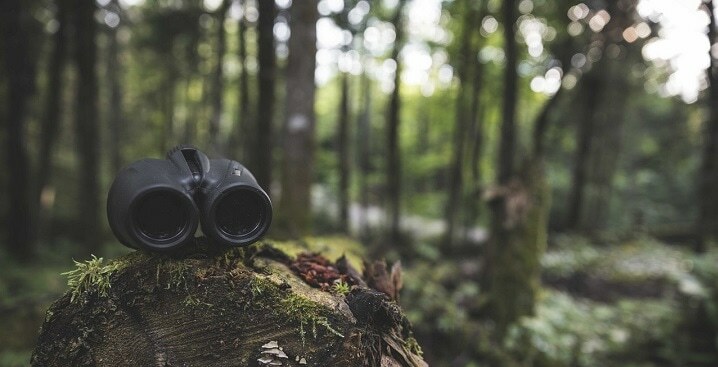 Designed with ergonomics and centered for long periods of continuous use, these binoculars are designed from the glass up to be field-ready perfection. These glasses carry an on board calculator for developing ballistics firing solutions. No, this is not your daddy’s set of field glasses. Built with an owner’s lifetime warranty regarding parts and five years regarding electric components. These glasses are going to see a good deal of hard real-world use over the years. The Victory RF binoculars make use of a class I laser with a ten-to-1,300-yard measuring range, Carry-weight of the unit is 35 ounces. Glassing big open spaces during a coyote hunt while on the move. 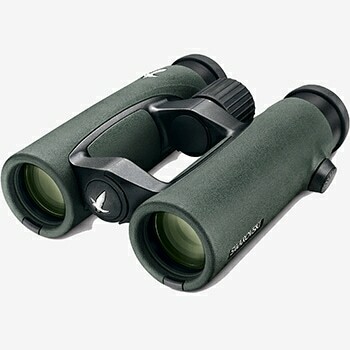 I own and use these binoculars all the time and even though modestly priced, the unit is all-out quality. With some eight years in the field at this point, the glasses have stayed top notch in terms of performance. Very clear glass, no distortion, and at times, these binos pick up detail better than some far more expensive scope sights on the rifles I shoot. 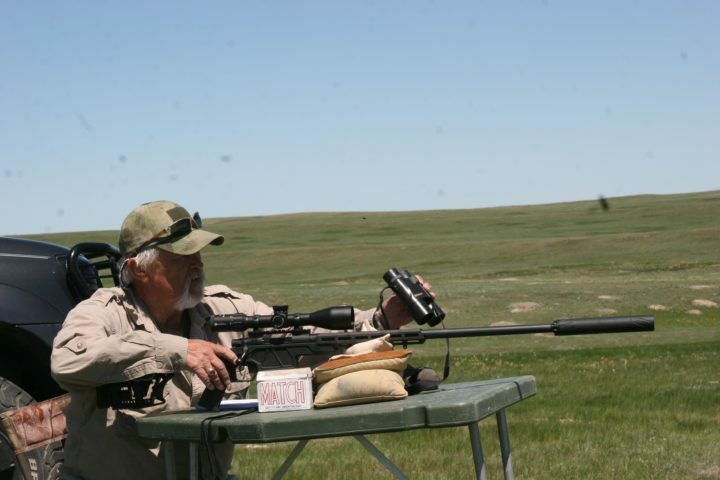 Author shooting a Howa 1500 Chassis rifle in 6.5 Creedmoor at 1000 yards in open country. In this case he is glassing for any element of loose stock, humans in the line of fire, or other related observable problems down range. Glasses pictured here are Weaver 8 X 42, and even though simple as a unit, the glass is outstanding regarding the ability to view detail very clearly. These were not a lot of money but carry a great deal of dependable function in the field. Good glass is the key here. 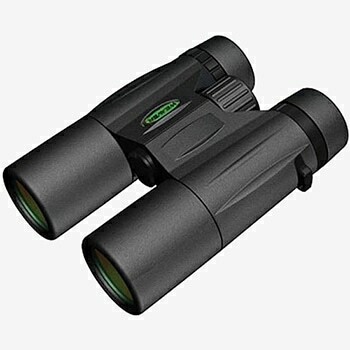 At an 8X magnification, you can handhold without support, and maintain a clear image down range. I like working with this power setting best of all when on the move and spotting at the same time. 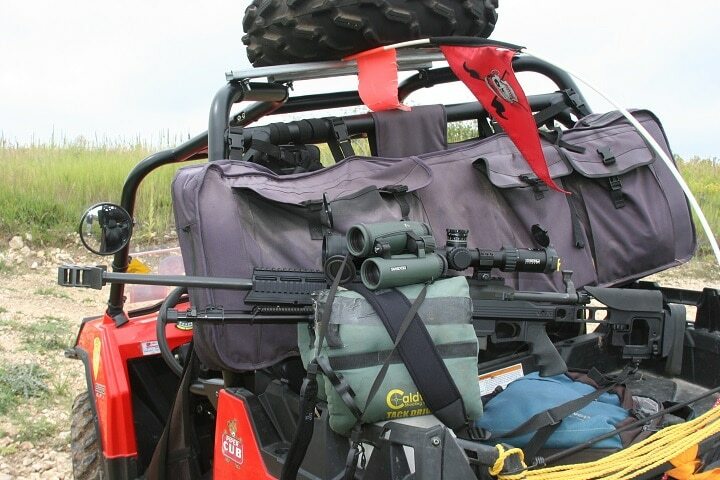 PermaFocus is a system used by Bushnell, and I use this on two different sets of big game binos, and a set of Russian ATI military glasses as well. This system is unique as it is auto-focus in an instant. Just move along with a fast-running game animal, and the binos stay focused even with very fast changes in range. When conditions are weather-related such as very cold temperatures and getting to focus knobs is difficult with heavy mitts or gloves, this unit is very much appreciated by the hunter in the field. The big problem I have in hunting camp is ensuring that someone does not walk off with my auto-focus binoculars. Fully coated optics for solid light control and sharp imaging. No-slip rubber armor coating will take shock and other related possible damage and also offers a solid grip even in wet conditions. Good equipment will deliver performance under even very difficult conditions. 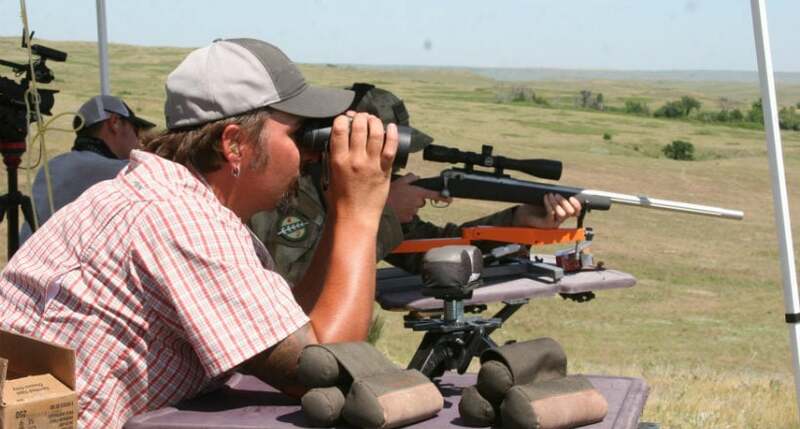 Here in South Dakota where I test products, ultra-long range is the game of the day. 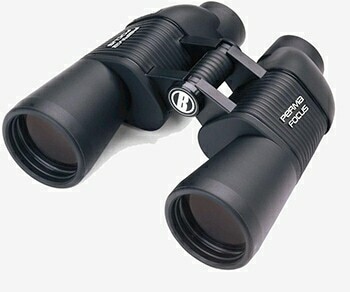 As a final note, try to remember this: Binoculars can vary greatly in price as you have seen here. Consider the purpose of the system and try to stay within your means for the selected product. Over- or under-buying can result in some dissatisfaction to be sure.